Exhibition runs from June 1 to September 16, 2018 at Central Gallery, from June 1 to September 17, 2018 at Central Mediatheque, and from June 16 to September 5, 2018 at Sherwood Gallery. 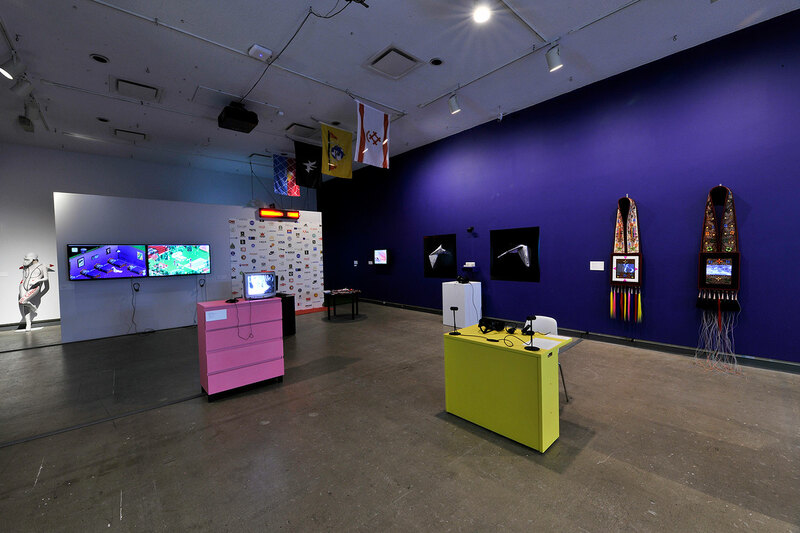 This exhibition, which expands beyond the walls of Dunlop’s Central and Sherwood Galleries to include offsite interventions, performances, an Instagram takeover and online components, brings together recent works by Canadian and international artists whose digital and physical artworks bridge material and immaterial practices. 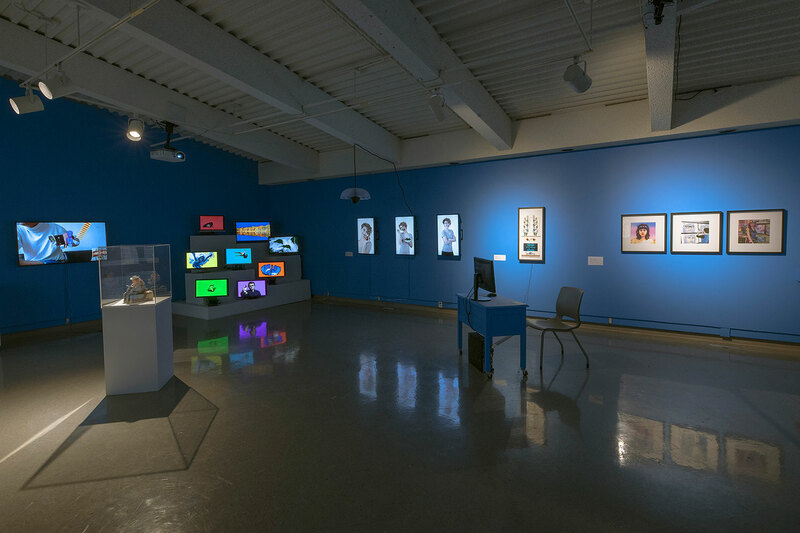 Slyly referencing new media art’s aesthetic and conceptual impulses, the artists of URL:IRL also explore the pleasures and perils that come with advancements in digital technologies, and how identities, places, and ideas are, for better or worse, constructed and communicated by screen culture. From a broader cultural perspective,URL:IRL posits that self-fashioning is no longer possible without the behaviours normalized through social media. Every living generation now uses the internet, gaming systems, and apps to perform their authentic identities, anonymous selves, and constructed online personae. 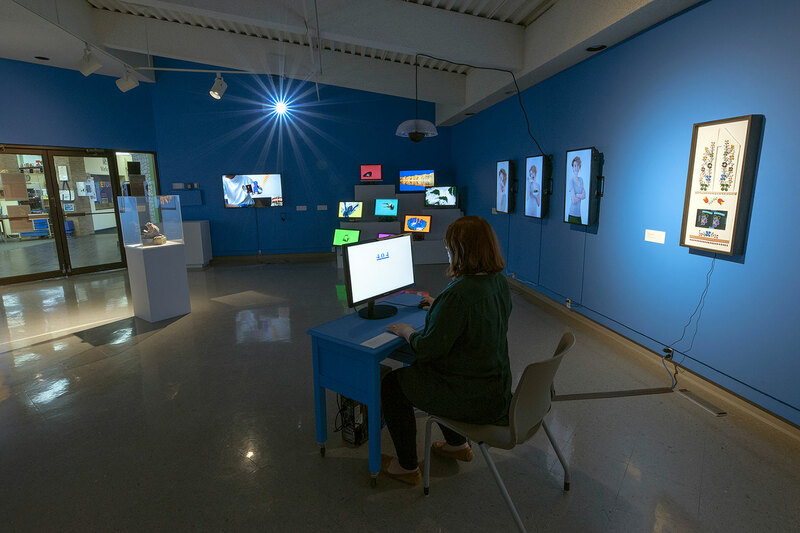 URL:IRL captures the ways that artists attempt to locate and identify where and what the “real” is in the midst of the 21st century’s moral panic around how one is to use (or not use) technology to become one’s best self. 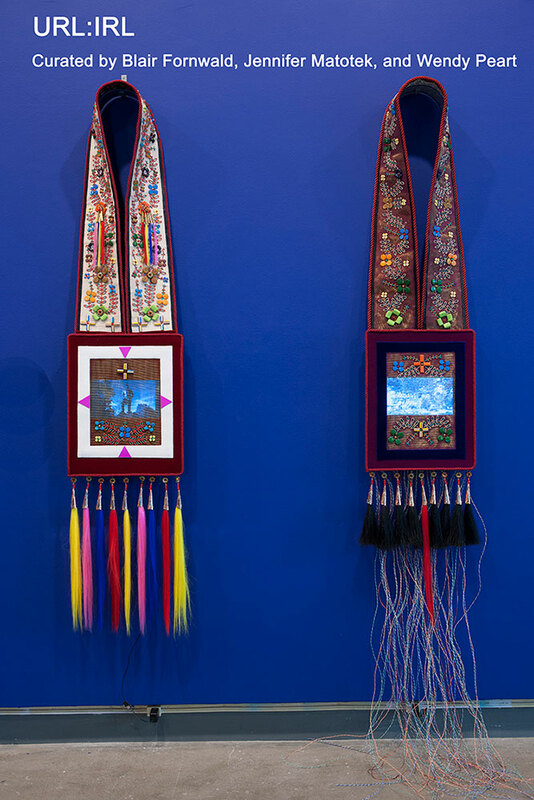 Their works enliven critiques around whether connection equals disconnection, whether technology distances us or brings us together, whether selfie culture and the social and biochemical rewards of “likes” are evidence of radical communication or radical narcissism, and if we are truly choosing technologically-enhanced lives at the expense of “real” ones. 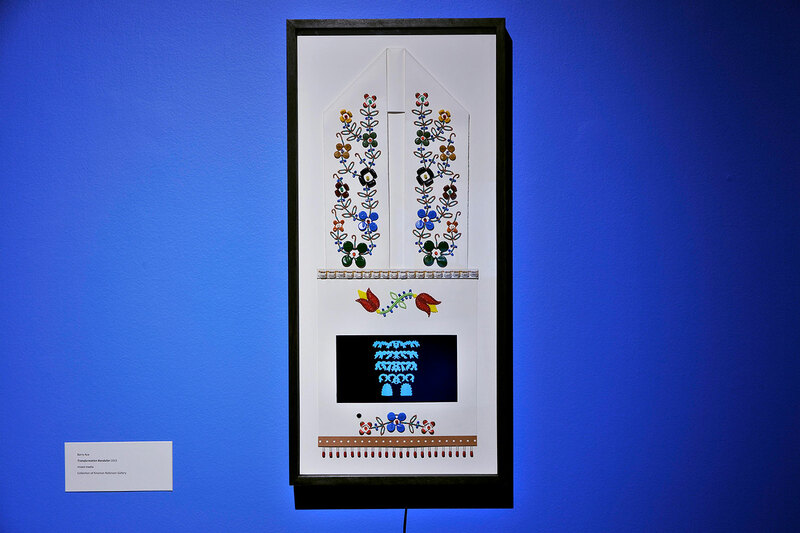 To view the exhibition online, please visit urlirl.ca. PHOTOS: Don Hall, courtesy of the Dunlop Art Gallery. Installation photo URL:IRL Dunlop Art Gallery. 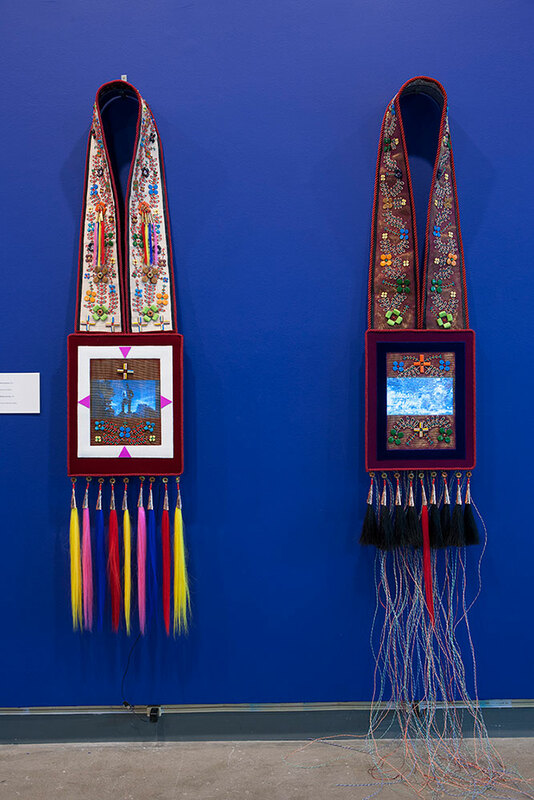 Bandolier for Alain Brosseau (2017) and Bandolier for Wiikwemikoong (2017), 210 (h) x 40 (w) x 11 (d) cm, mixed media. 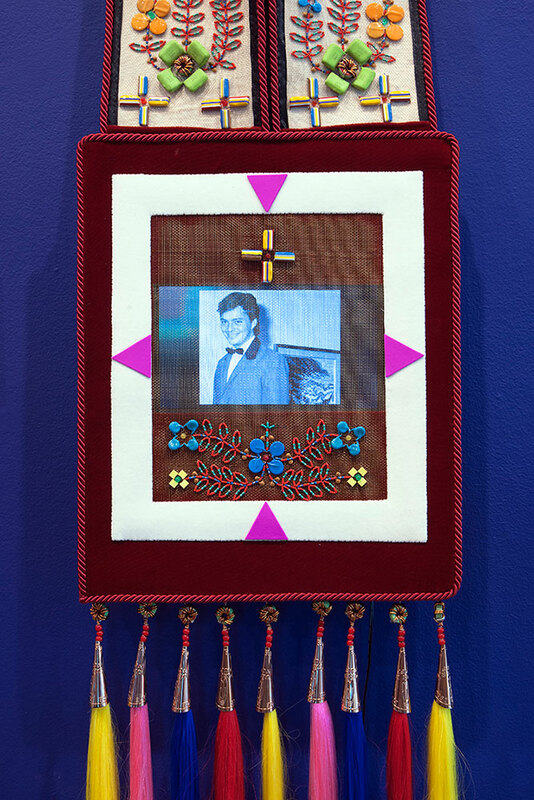 Bandolier for Alain Brosseau (2017) (detail). Transformation Bandolier (2015) 100 (h) x 32 (w) cm, mixed media.